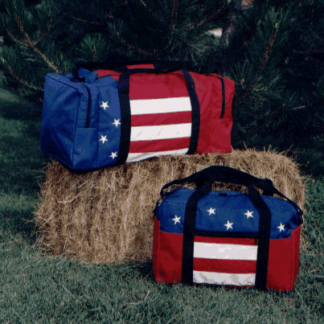 2-Bottle Water Carrier Pack: Carry two bottles of water and lunch too! 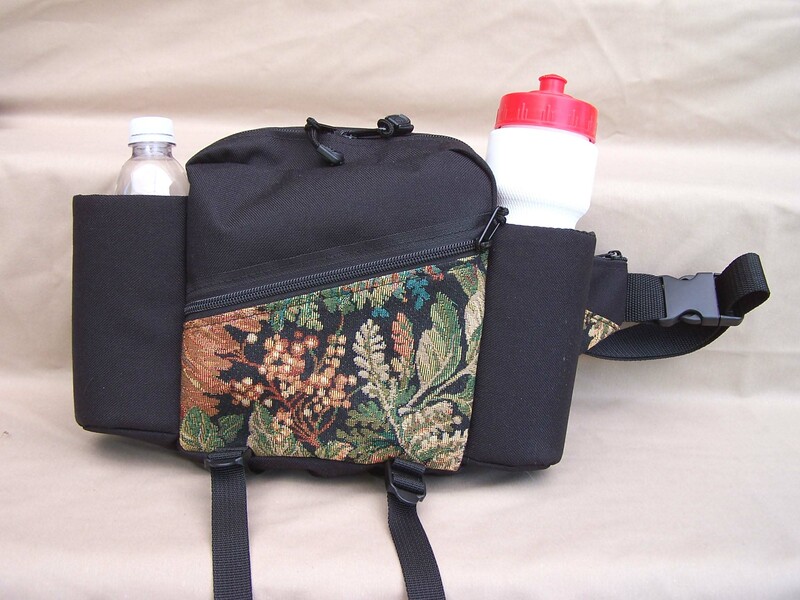 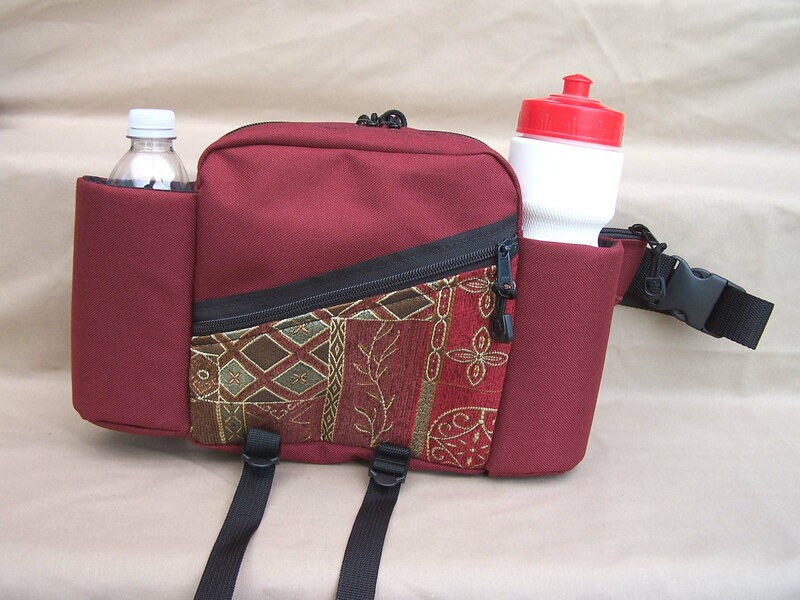 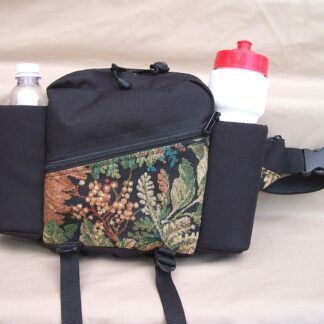 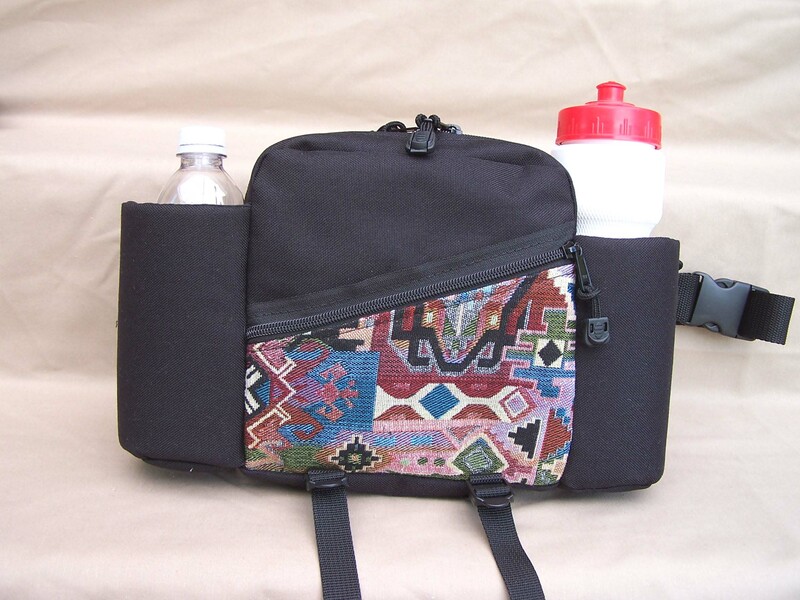 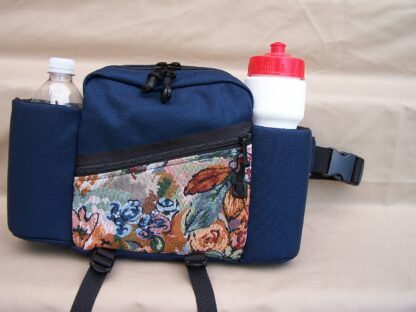 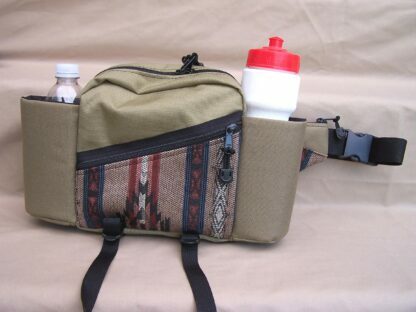 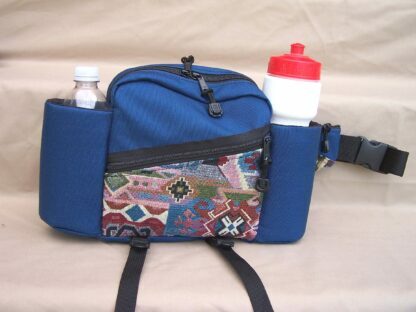 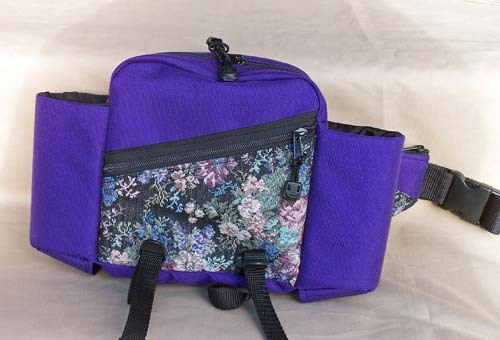 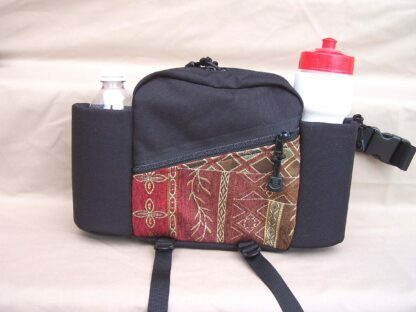 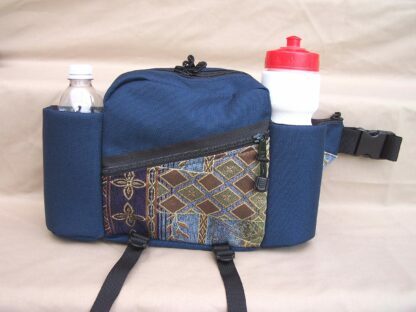 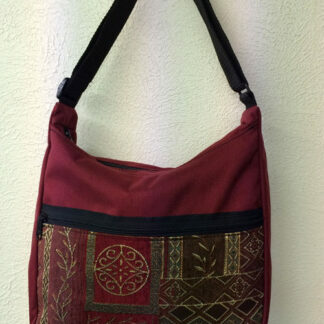 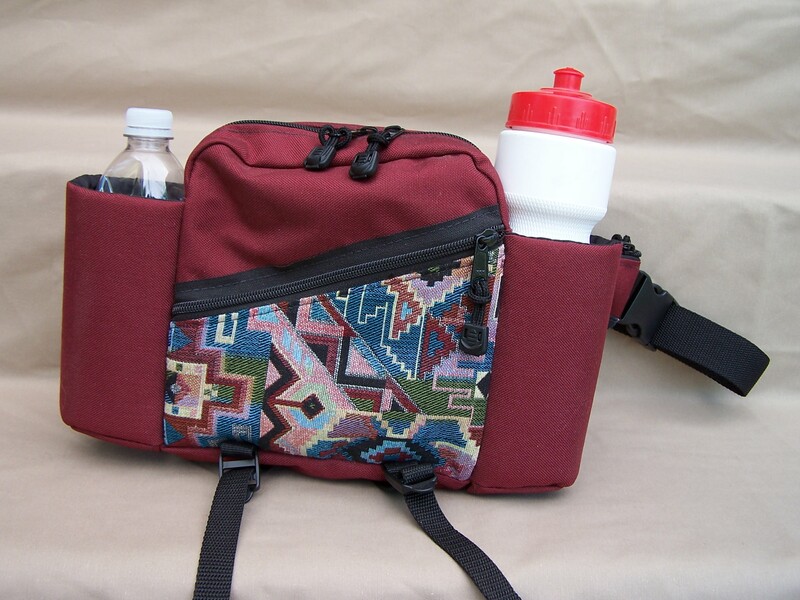 Tapestry 2-Bottle Water Carrier Pack (Main Pocket – 10H x 8L x 3D) Perfect pack for a hike, watching sporting events, biking, shopping, festival going, etc. 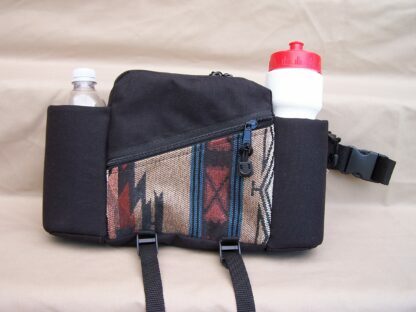 Mesh back allows air to flow. 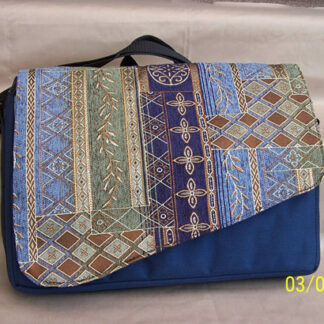 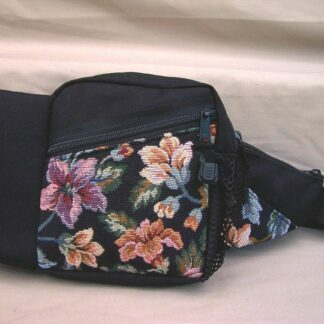 Wing pockets for keys, cell phone, etc. 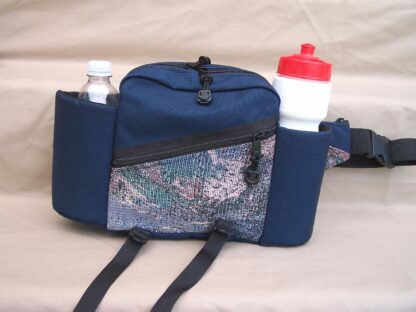 Bottom straps hold a jacket.